Are you currently looking for a fragrance for the spring and summer? If so, the new Versace fragrance for men may be the one that you’ve been looking for. Versace Man Eau Fraiche is a very fresh and aquatic fragrance that has a Mediterranean feel to it, enhanced by some woodsy notes. As a matter of fact, Versace Man Eau Fraiche has become one of the best-selling fragrances on the market. People simply love the refreshing and pleasant aroma. With Versace Man Eau Fraiche, you are going to get lots of compliments from the people around you. 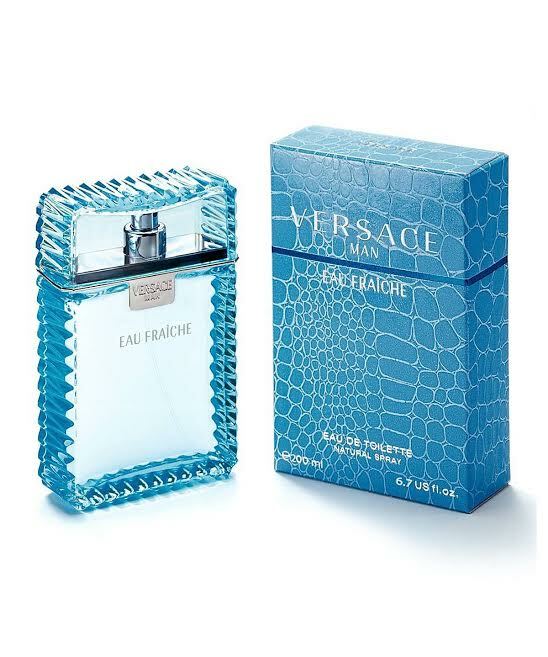 Man Eau Fraiche is produced by Versace, an Italian luxury fashion house that has been around as early as 1978. The company has produced various kinds of products, including upmarket Italian-made ready-to-wear and leather goods. The company’s logo is very well-known across the industry, which is the head of Medusa. Gianni Versace, the founder, chose this logo in the hope that his company will be like Medusa: making people fall in love with her, with no way back. Versace Man Eau Fraiche is not the first try of the company in the fragrance market. In fact, Versace has released several fragrances as well before. However, Versace Man Eau Fraiche is the one with a huge success right now, as it has turned into a best-selling fragrance. Well, Versace Man Eau Fraiche was first released in 2006. It was crafted by the perfumer Olivier Cresp. The packaging of Versace Man Eau Fraiche is rather unique. The box is colored in blue. However, there is a decorative pattern on the box that may remind you about the texture of leather. The packaging has performed a good job if its function is to make people intrigued about what is inside. Well, after opening the box, you may once again raise your eyebrows. The bottle of Versace Man Eau Fraiche is also equally unique and attractive. It is attractive in its own way. The shape of the bottle almost resembles a shattered piece of ice, and this image has been further supported by the light blue tint. Quite impressive. Versace Man Eau Fraiche has become a best-selling fragrance not for nothing. The scent is indeed highly loveable. It can be described as a fresh and aquatic scent that is enhanced with lots of citrusy and some woodsy notes. The opening is especially citrusy, as the top notes feature ingredients like bergamot, lemon, star fruit. The heart notes then introduce a greener air with some woodsy and spicy notes. The base of amber, musk, and saffron creates a solid foundation. Versace Man Eau Fraiche is highly recommended for spring and summer. The projection and sillage are excellent, neither too weak nor too strong, and the longevity is pretty good – the scent lasts for over a few hours. Check the best price of Versace Man Eau Fraiche here!